Over the years makeup formulations have moved away from their heavy incarnations, designed to work backstage at fashion shows or on-set during photoshoots, and towards concepts that have been created simple for daily moments of pleasure. The lines between professional and mainstream are becoming increasingly blurred, as makeup artists turn to more affordable brands and women seek out more professional alternatives. We’re no longer constrained by one end of the market or the other, instead seeking out simply what works and meets our needs; never has there been such an exciting time in beauty, proven by the amount of brands that have been created with professional finishes in mind. One name I’m really intrigued by and excited about is LOLA – a British designed brand that’s been created for professional make-up artists, by professional make-up artists, but still actively encourages women (and men) of all ages, skills and interests to get involved in creating their ultimate makeup look. With a wide range of colour, high quality textures and professional artistry tools on offer, LOLA’s aim is to help every one of you to become your own expert make-up artist – by providing professional quality tools and make-up tips to help you along that journey. I get to see a lot of makeup on a daily basis, so it’s easy to identify the products that are gimicky and those that have genuine potential to create a stir; LOLA is undoubtedly the latter. The sleek, soft-touch black packaging oozes credibility and wouldn’t look out of place in any professional kit, plus inside there are formulas that are seriously amazing – especially considering the price point. 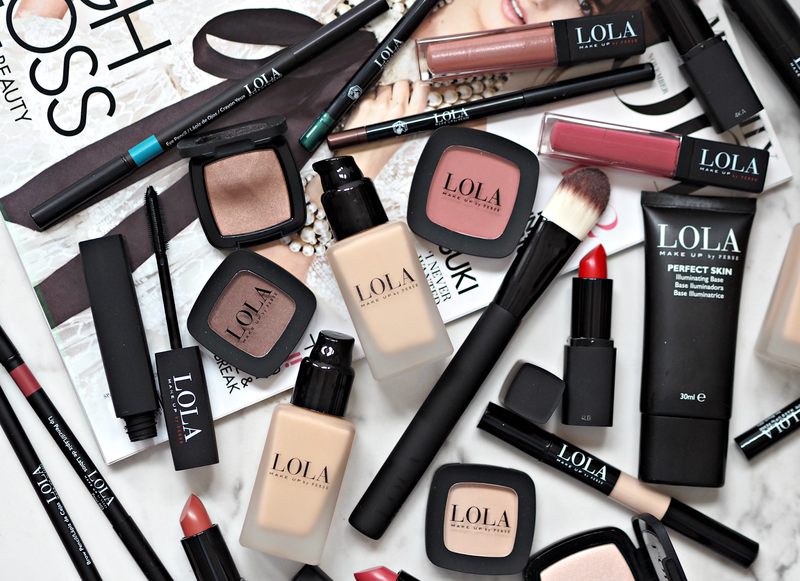 With pigments that are simply incredible, textures that are smooth and delicious, colours that are wearable and results that are long-lasting, everybody needs a little bit of LOLA in their makeup bags. 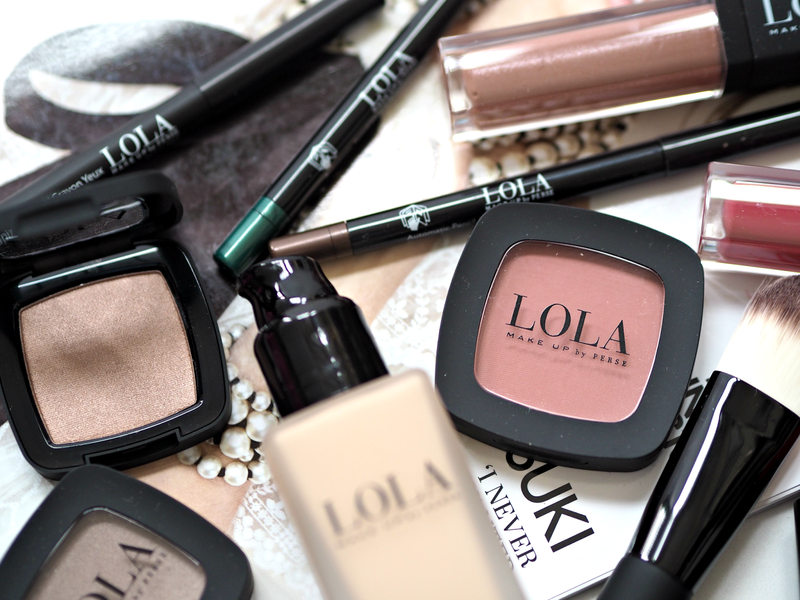 Louise Connor, LOLA Brand Manager and professional makeup artist, has let me in on her personal top picks and recommendations for getting the most from this relatively undiscovered brand – which is a great help if you’re not sure where to start. TOP TIP: Use a pea sized amount and blend from T-zone area outwards with fingers. “The best eye primer I’ve ever used! It keeps your eye make-up in place without a hint of smudging or creasing to ensure your make-up lasts until you take it off. It also neutralises any colour on the eyelid to ensure eyeshadow stays colour true,” says Louise. TOP TIP: When applying eyeshadow on top ‘press’ it onto the base (rather than buffing) to ensure an even and long-lasting finish. TOP TIP: Use the highlighter on more prominent areas of the face (such as the top of cheekbones, bridge of the nose and brow bone,) to create natural looking highlights and a gorgeous radiant skin. “I love the finish of a matte lip but don’t like the dry texture that you often get with a matte finish. 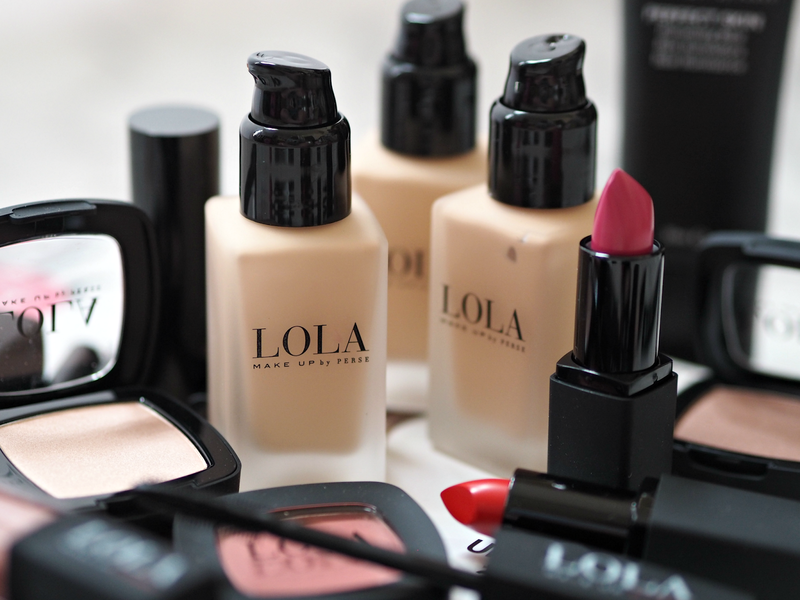 LOLA Mattes are ultra-moisturising and non-drying, so you get the effect of a matte finish but feel hydrated; I love the colours and they’re super long lasting too!” says Louise. TOP TIP: To create a softer colour, apply lipstick by dabbing your finger into the product then gently onto lips; this gives a great muted look that softens any colour. TOP TIP: Take lip colour onto the brush then gently wipe the brush on the back of your hand to remove excess product; apply to upper lip line then blend outwards, creating a perfect defined line. Repeat on lower lip line. I’ve been trying out the range for a few weeks now and I’m seriously impressed – especially with Louise’s personal favoruites. My top picks definitely include the Mono Eyeshadows (£10.00) which are super smooth and beautiful to blend, the Pen Eyeliner (£12.00) which includes the most precise and pigmented tip I’ve ever come across, the Automatic Eye Pencil in Green (£10.00) which is creamy, rich and perfect for Autumn, plus the Lipgloss (£10.00) which contains Hylaronic Acid to help plump and moisturise lips while simultaneously adding a touch of non-gloopy gloss. This is great makeup, but at prices that are more than affordable – proving you don’t have to spend a fortune to boost the performance of your daily favourites. 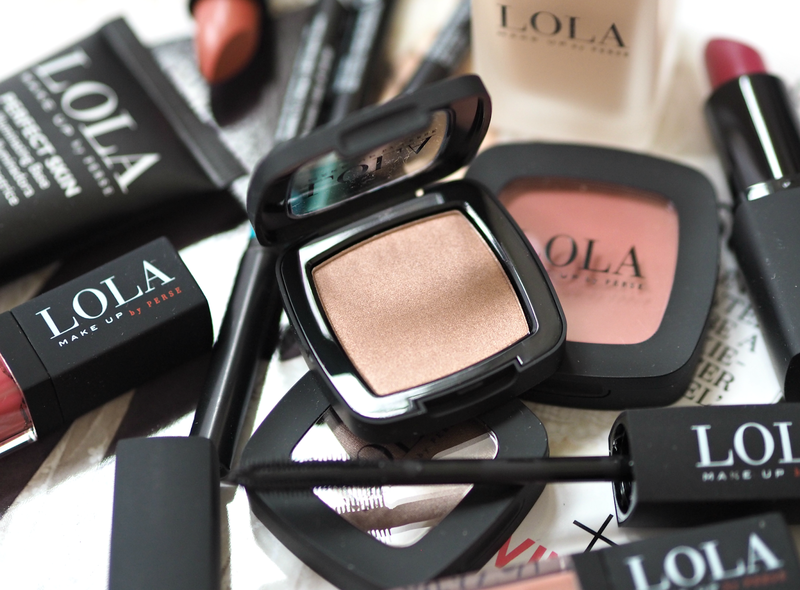 Although it’s been created for professional makeup artists, there’s no reason why us mere mortals can’t benefit from the expertise that has been injected into LOLA; even more so because it’s now available via M&S Beauty departments nationwide. What little gems have you got your eye on already? 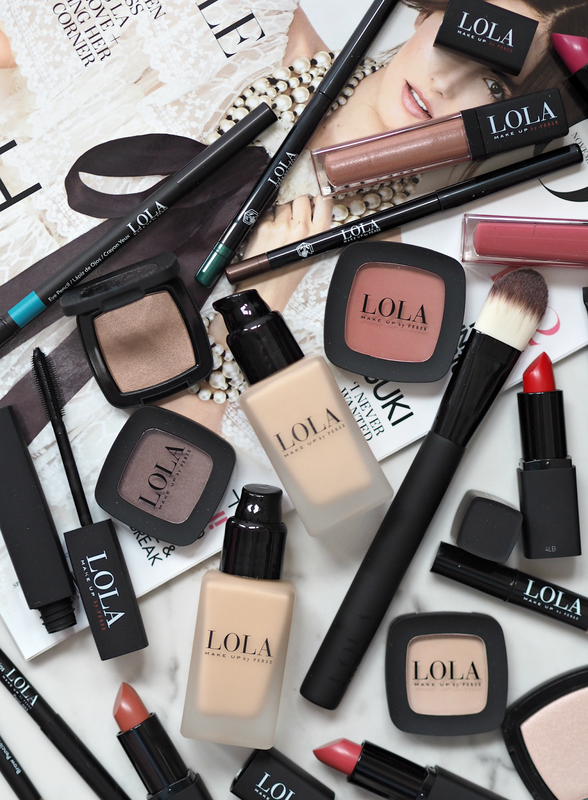 Discover more about LOLA on their website: www.lolamakeup.com Get an exclusive 20% off everything online within the LOLA range when you use code LBQ20 until 11th November 2016. This is a sponsored post on behalf of Lola Makeup; all opinions are my own. Always looking for an affordable range as a makeup artist. Excited to discover this brand. Thanks Hayley!